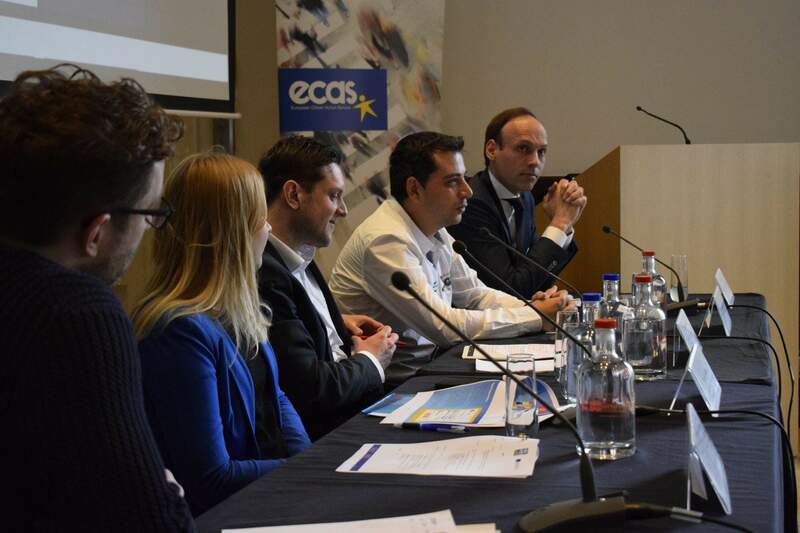 In 2018, ECAS will be actively defending and advocating for EU citizens’ rights, as well as seeking to enhance democratic engagement and participation in EU decision-making and providing training and services to civil society organisations. 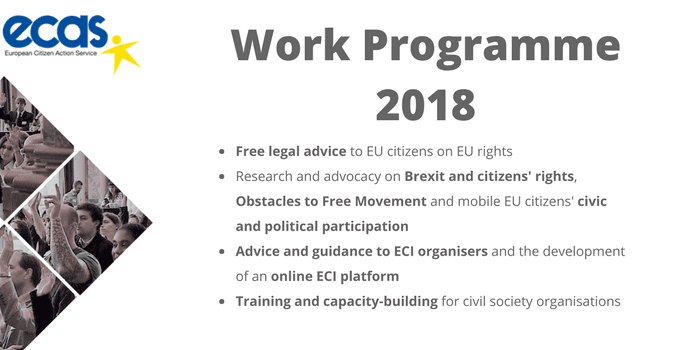 Activities for the year incorporate EU projects, services to citizens, advocacy and awareness-raising, research and analysis, events in our focus areas as well as funding advice and training. 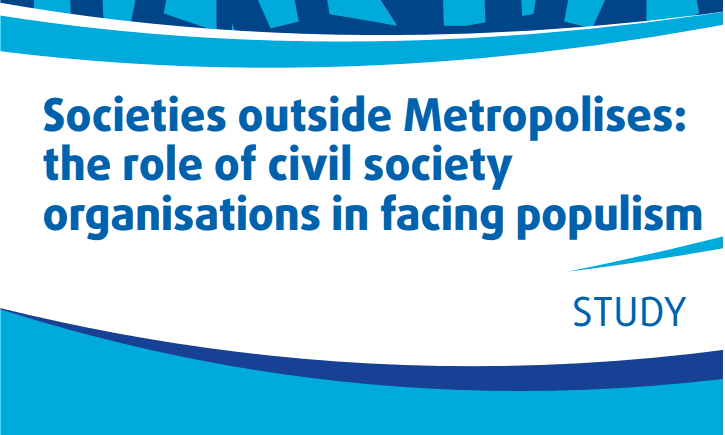 Training and capacity-building for civil society organisations.